Non-delivery *: your goods have been stolen after the carrier took them over or your goods have been destroyed in an accident involving the truck. This, up to the limit of the conditions set out in the agreement. Thanks to the partnership between Chronotruck and AXA, you can ship your commodities safely, benefiting from guarantees among the best in the market. For used insured property : original sales invoice value, having had depreciation inferred for (new value - 10% for a seniority of - 2 years, -20% at - 3 years, -30% at - 4 years, -40% to - 5 years, -50% to - 10 years, no guarantee possible beyond) within the limit of €50.000. In case of non-delivery: registered letter of complaint to Chonotruck from the 15th day following the expected date of delivery, accompanied by the invoice of purchase, sale or replacement of the goods. 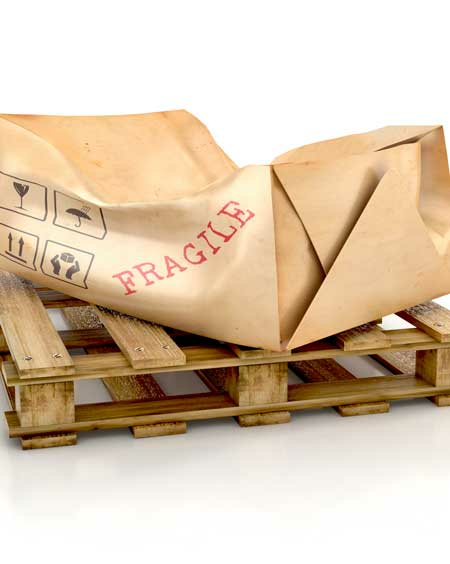 In case of partial delivery or with material damage: provide a copy of the consignment note mentioning the reservations relating to missing and / or damaged packages and the type of damage suffered. Confirm to Chronotruck these reserves by registered letter within 72 hours after the day of delivery, accompanied by the invoice of purchase, sale or replacement of the goods. the other cases provided for in the general terms and conditions of the insurance contract. absolutely declare the problem on the consignment note - delivery slip and confirm it to Chronotruck by registered letter with acknowledgment of receipt within 3 days. Contact us in any case by e-mail and telephone to warn us and follow all stages of compensation. question_answer What do I have to do to benefit from the insurance of €50,000 euros on my commodities? question_answer In which case am I insured? At what level? question_answer Can I insure beyond €50,000? question_answer What kind of documents should I need to activate the insurance on the value of property?